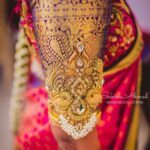 This is officially the golden period of bridal fashion. 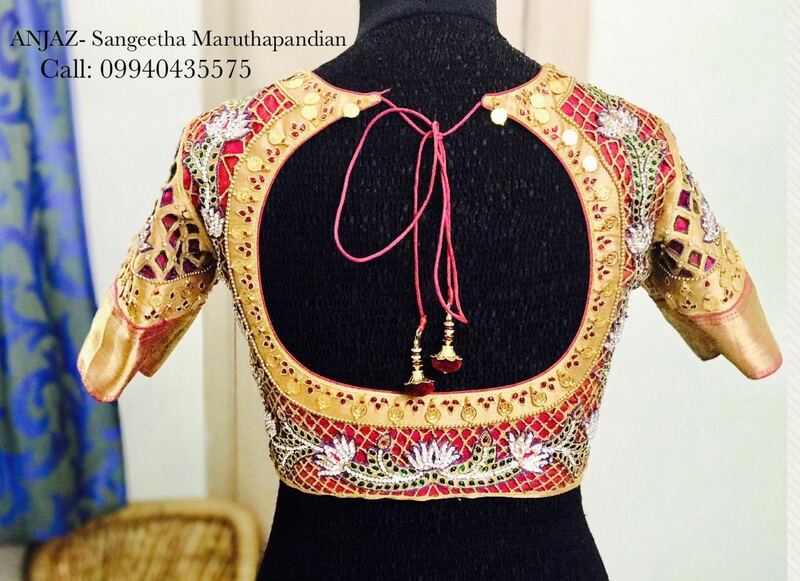 Especially South Indian wedding outfits and accessories are slowly taking us to the rich era of our culture and glory. The classic antique jewelleries are back on trend. Silk sarees from the past period are revived with fresh color tones and patterns. And then, the blouses!!! 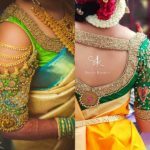 Bridal blouses are never been so colorful and aesthetic like it reigned this year. 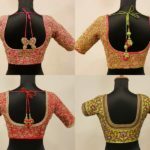 From bold zari to exquisite zardosi, blouses are made to look ravishing with intricate detailing and fine craftsmanship. 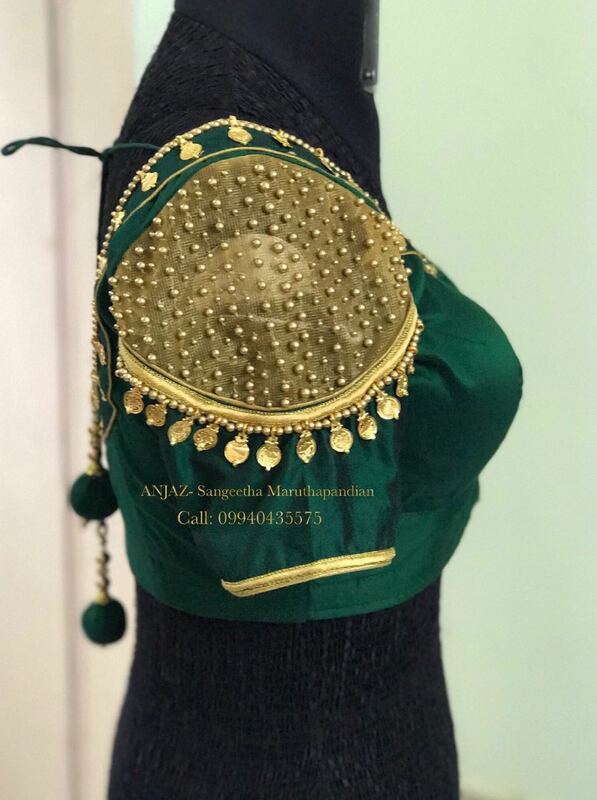 On this line of adorable creative work, label Anjaz went ahead and created timeless gold plated blouses that would embrace your silk saree hand in hand. 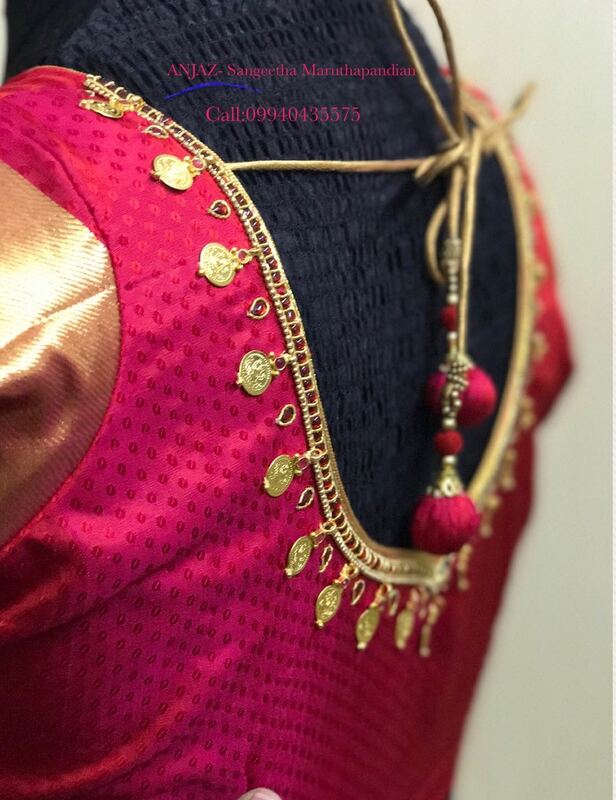 These pretty raw silk blouses, adorned with antique coins, classic beads and glittery stones will set the right tone for your silk saree, and bring out the true beauty in you on the most glorious moment of your life. 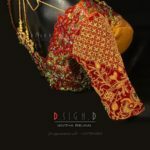 Now scroll down to take a look on the bewitching blouse collections from Anjaz. 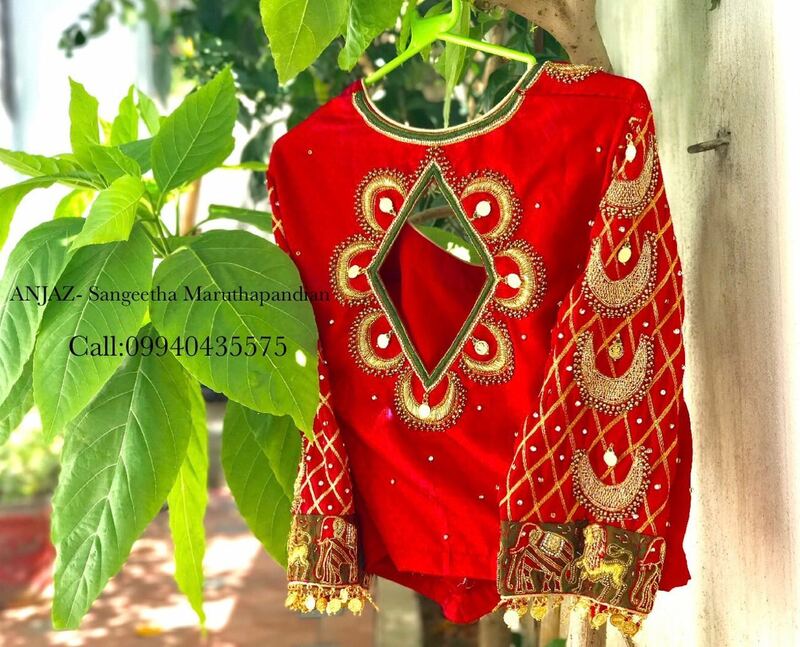 You do need a remarkable blouse to unleash the true elegance of the silk saree you plan to wear on the most important occasion of your life. Don’t you? 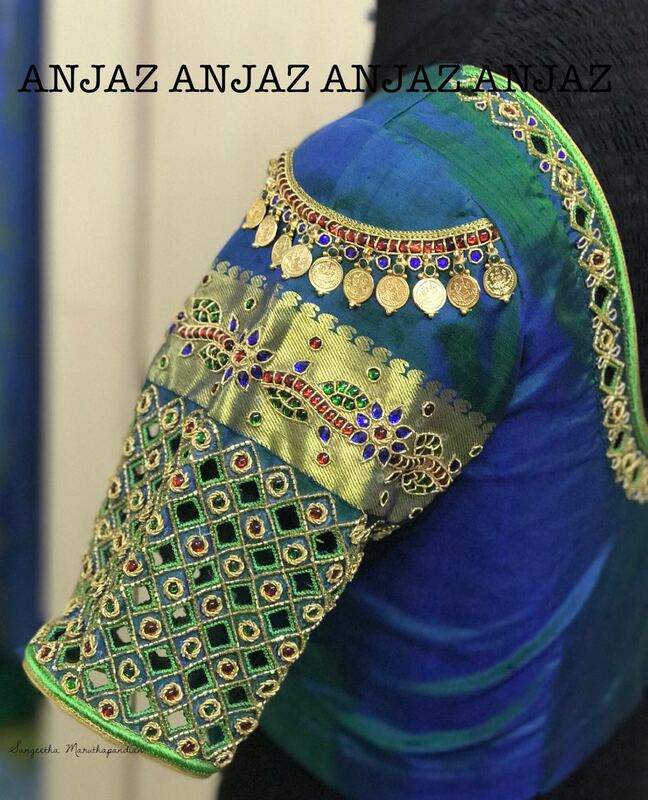 Then head over to Anjaz and get your dream blouse designed. For inquiries, contact details are given below. 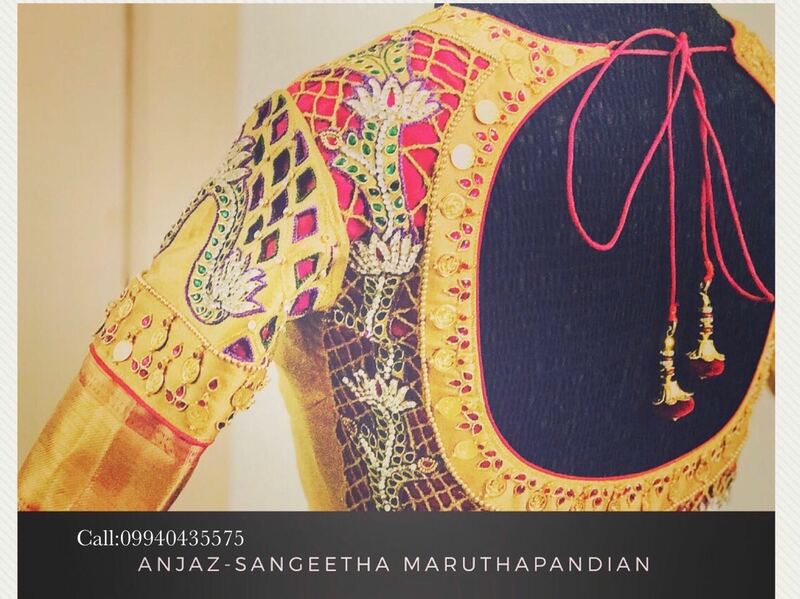 Also Read : Take Iconic Silk Saree Blouse Inspirations From This Label! 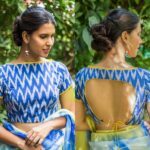 These Exotic Blouse Designs Will Take Your Breath Away! 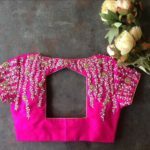 Designer Black Blouses You Can Shop Right Now!